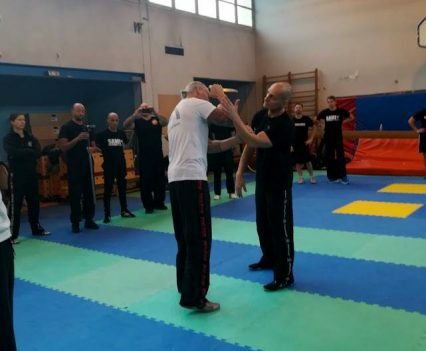 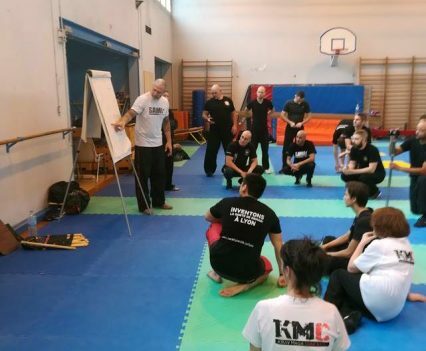 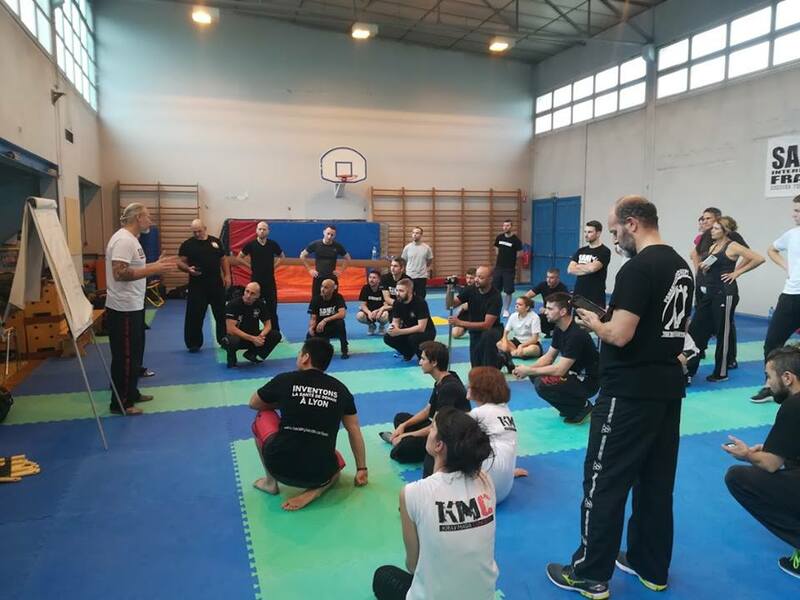 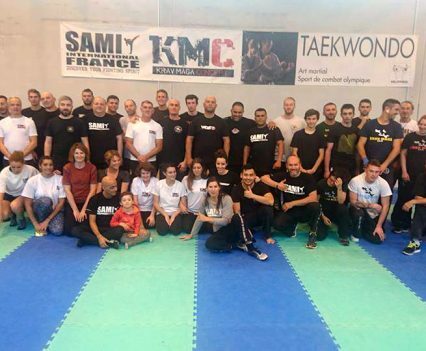 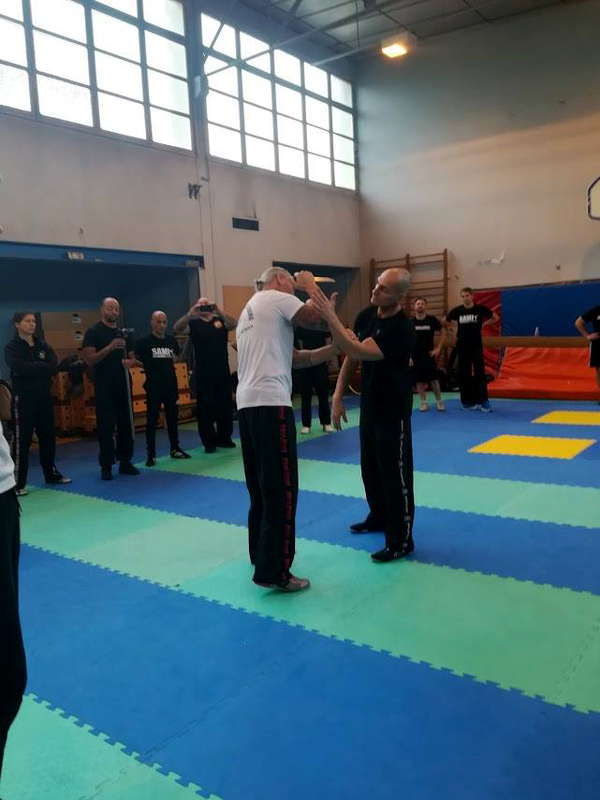 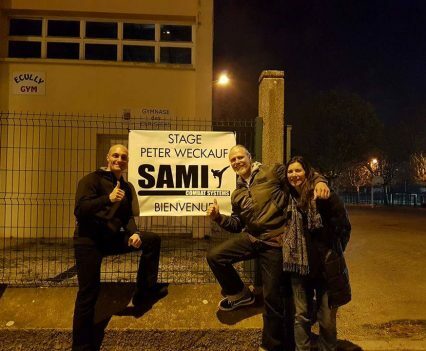 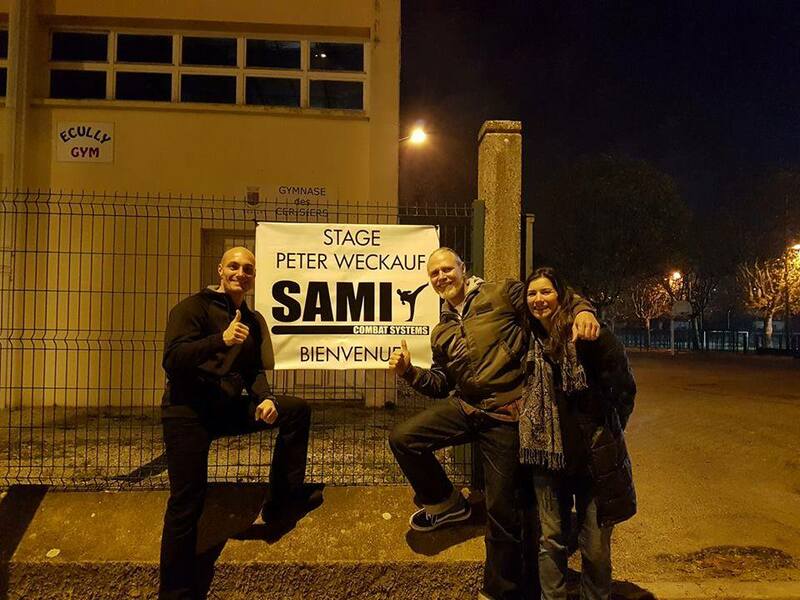 For the fourth time Peter Weckauf, Irmengard Hanzal-Weckauf and Ulrich Gruber (SAMI Linz) went to Lyon, France to do a SAMICS seminar weekend, in which the participants were able to train in Panantukan Concept, Kapap Concept, EBC and Krav Maga Concept. 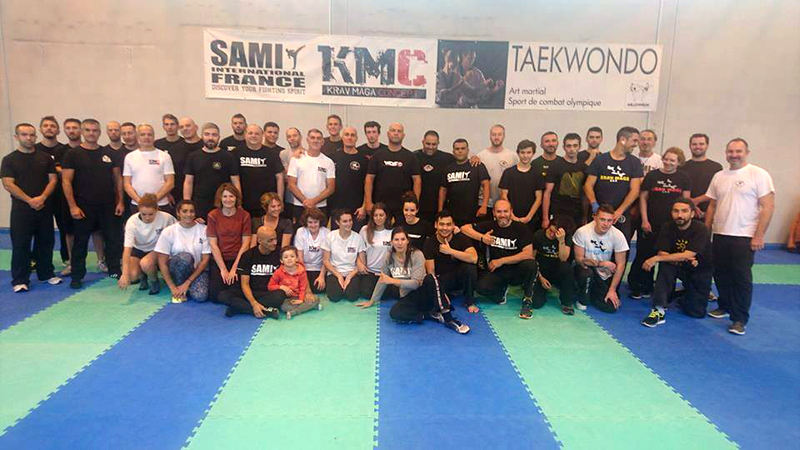 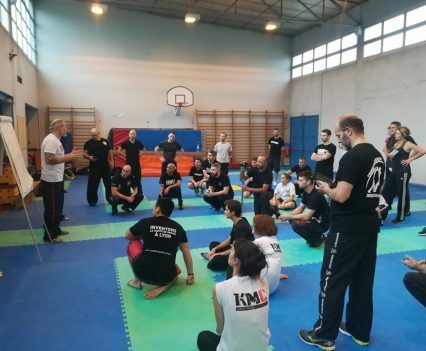 Around 50 students from all over France and Tunisia, who studied in different styles like Krav Maga, Pencak, Silat, Kali etc. 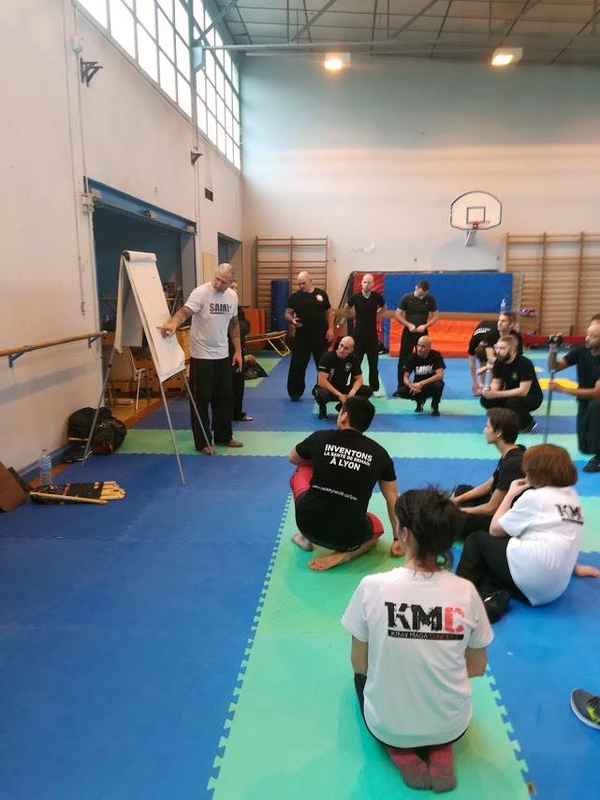 came to Lyon to join Peter, Irmi and Uli at Houcine Mezaaches school for an intense and very enjoyable weekend. 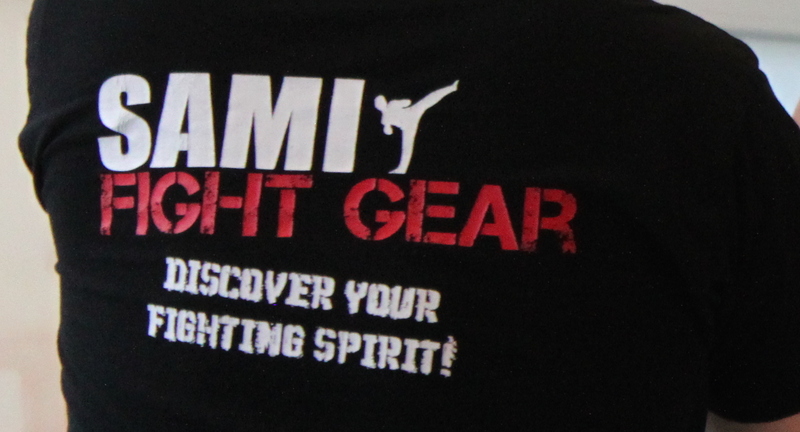 It is always a pleasure to work with so many interested people and spread the SAMI Concepts all over the world.